Pic Saint Loup is a rather small area that produces some of the best wines in Languedoc. Chateau de Cazeneuve is considered the Cru Exceptionelle of this small region. Chateau de Cazeneuve has been run by André Leenhardt since his purchase in 1988. He released his first wine in 1991. The estate top red cuvee’s are Le Roc de Mates(21 EUR) and Le Sang du Calvaire(35 EUR). 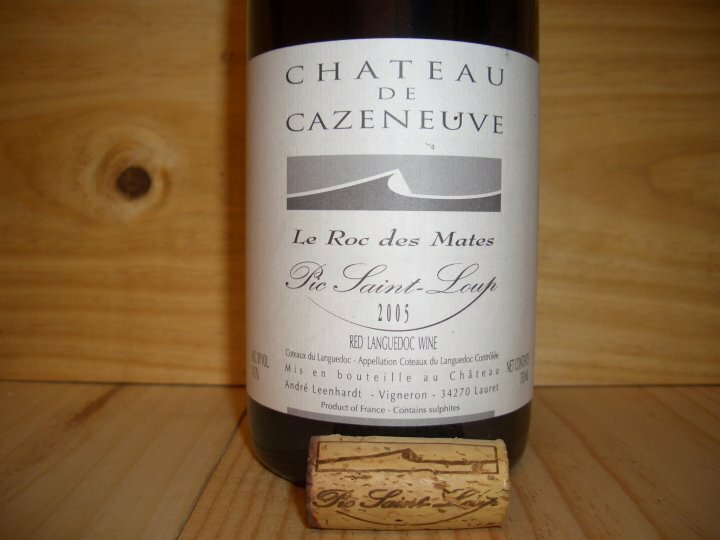 For 2005 vintage Le Roc de Mates is a predominantly Syrah(90%) based blend with Grenache and Mourvedre, aged for 18 months in French oak and Le Sang du Calvaire – 100% Mourvedre aged for 24 months in French oak. This is a big dark juicy wine that, in my opinion, tastes better than many more expensive and better rated wines. I remember tasting this wine together with a 2006 Chateauneuf du pape Le Vieux Donjon(35 EUR) in January this year and I did like the Cazeneuve better. As far as I know Chateau de Cazeneuve is preferred by many Michelin star restaurants in France and I do not believe is because of the low price. Check the wine yourself. I got this wine from a trip to Barcelona from Vila Viniteca and had the wine yesterday afternoon. The Numanthia Bodega was established in 1998 and purchased by LVMH in 2008, so it is expected for the their prices to start going up with the 2008 vintage. The Numanthia-Termes Toro Termes 2005($27), which is an entry level wine of the Bodega, was selected the number two wine in Wine Spectator Top 100 for 2009; 2004 was an exceptional vintage for this Bodega producing a 100 points wine: Termanthia that sells for about 400 EUR now. So there is a proven track record for what this producer is capable of. They are using only Tempranillo for their wines produced in Toro, a very promising region in Spain. 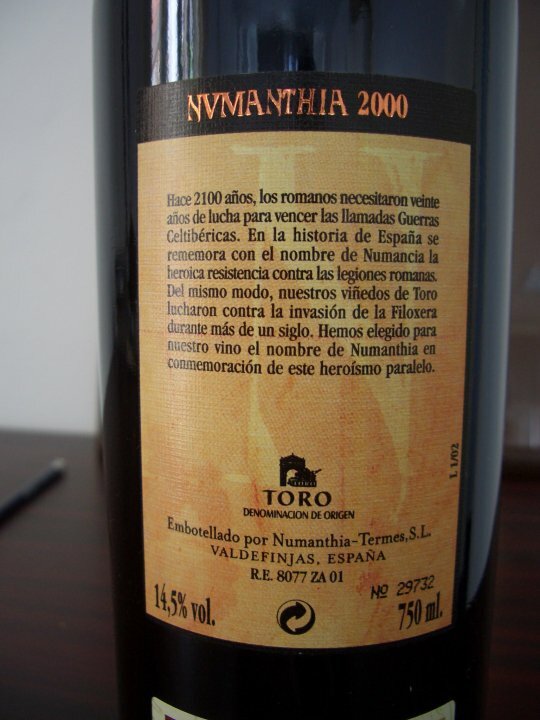 The Numanthia 2000 comes from 50+ years old Tempranillo vines and spent 18 months in new French oak. I would have scored this wine higher, as it has a beautiful complex nose, a long aftertaste but I was really troubled by the heat that sometimes can overpower the fruit. Perhaps pairing the wine with big food would balance that heat and make this wine more pleasant. Consumed alone can be tricky. 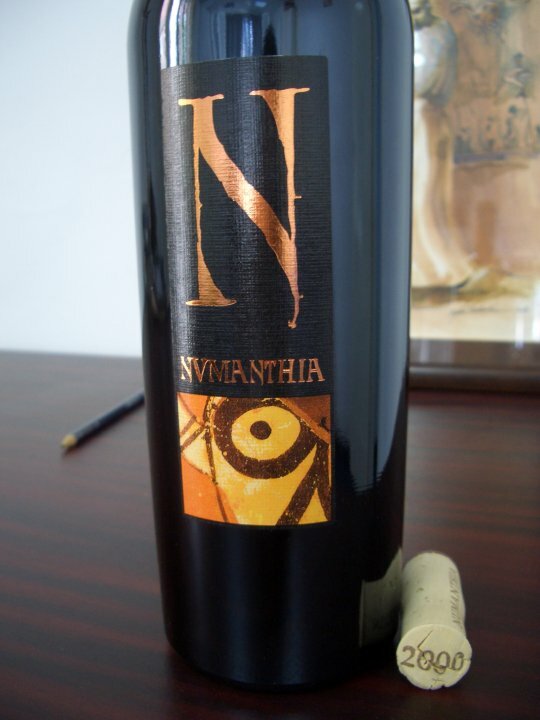 I liked much better the Numanthia 2006 which even younger and having 15% alcohol shows beautiful balance.